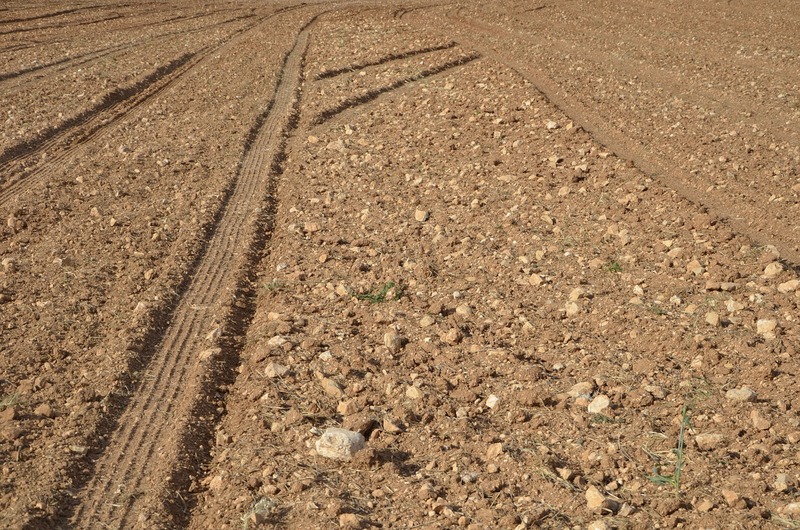 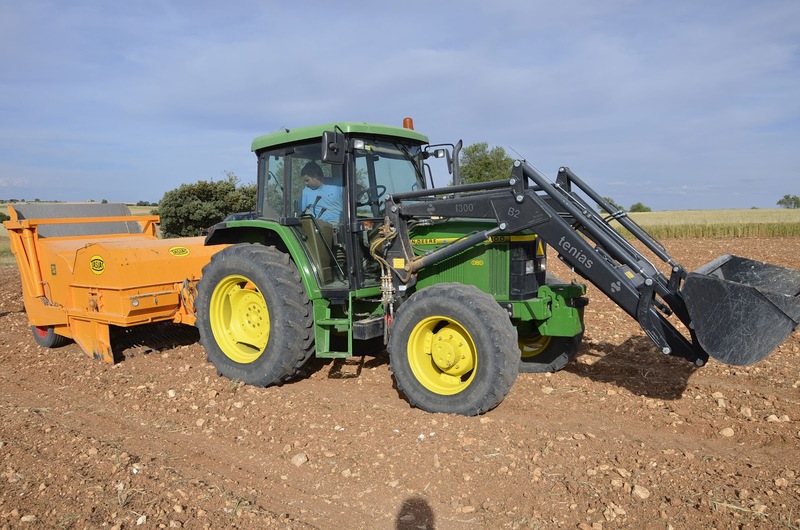 A few days ago, we went to visit our friend Julián when he was in one of his fields who was picking up stones to sow cereals the next winter. 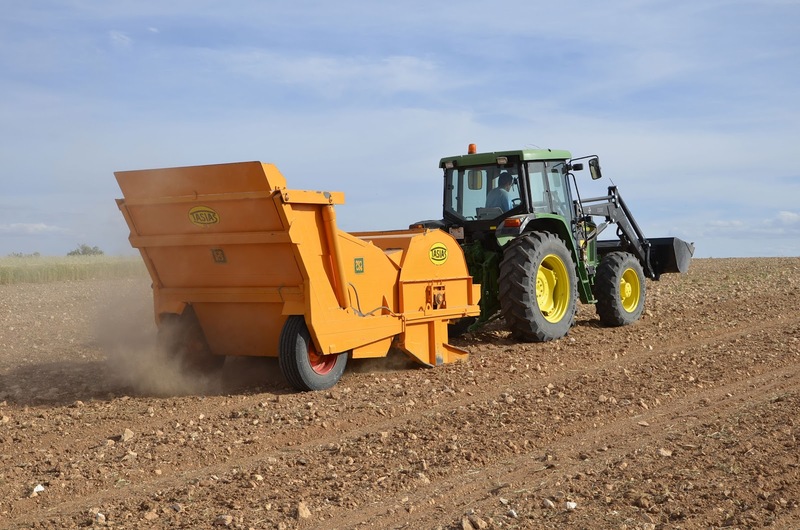 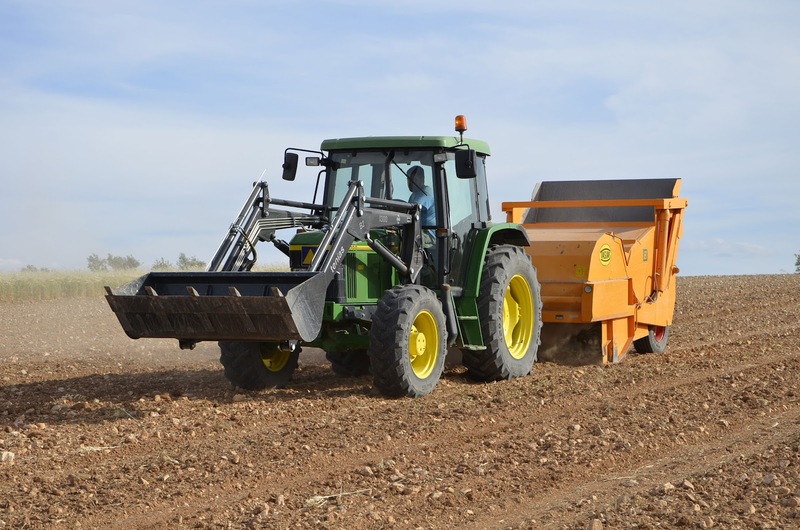 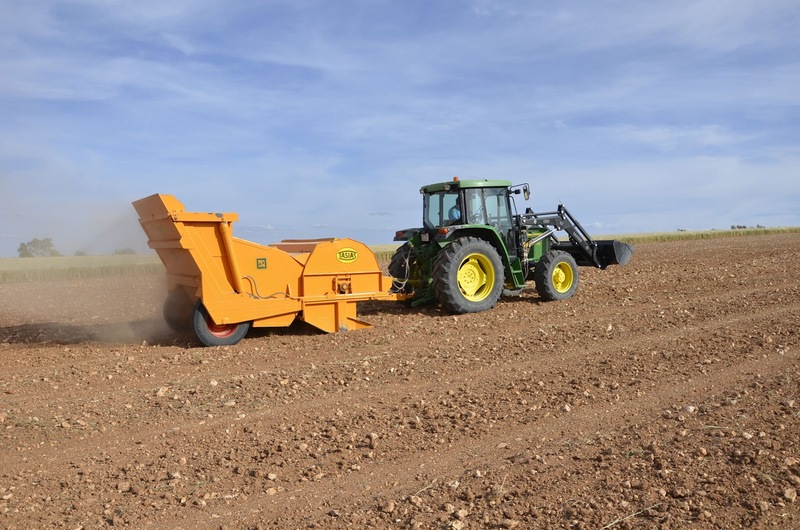 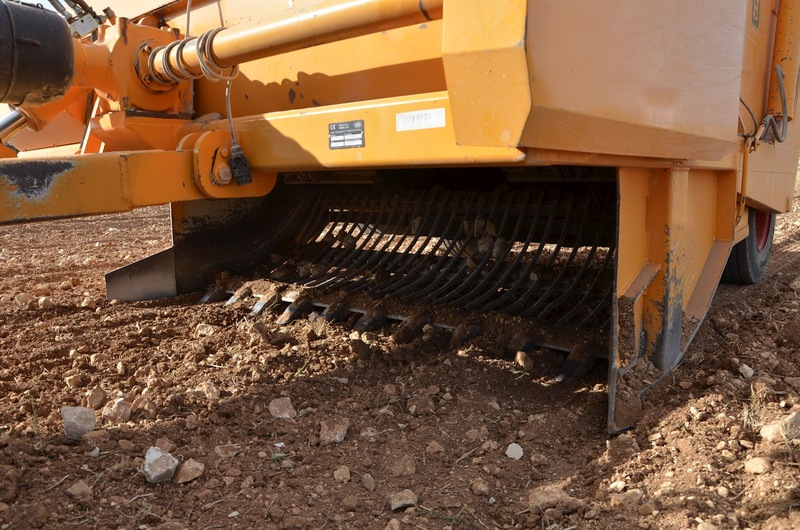 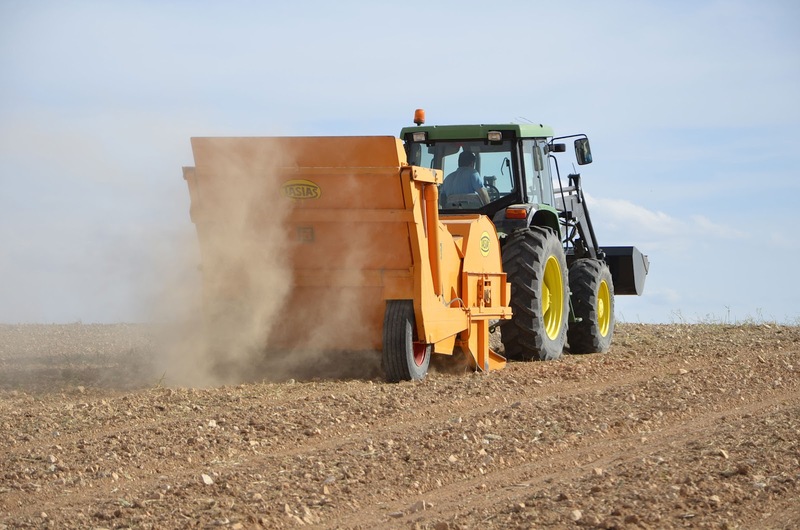 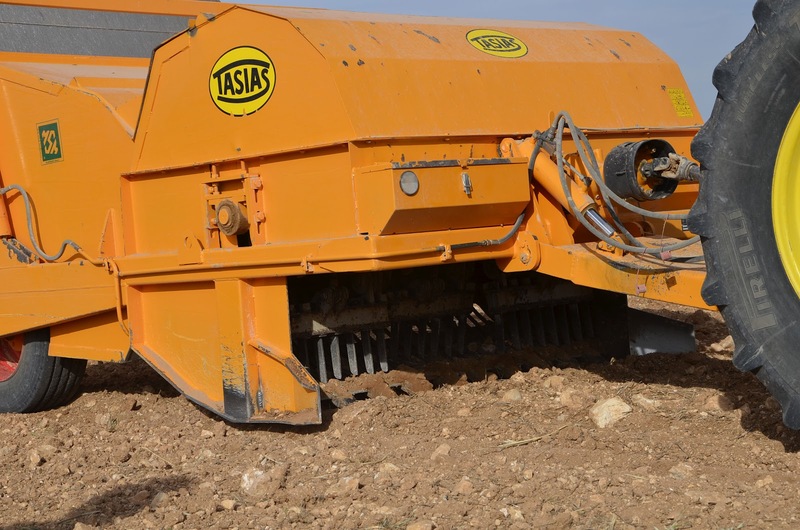 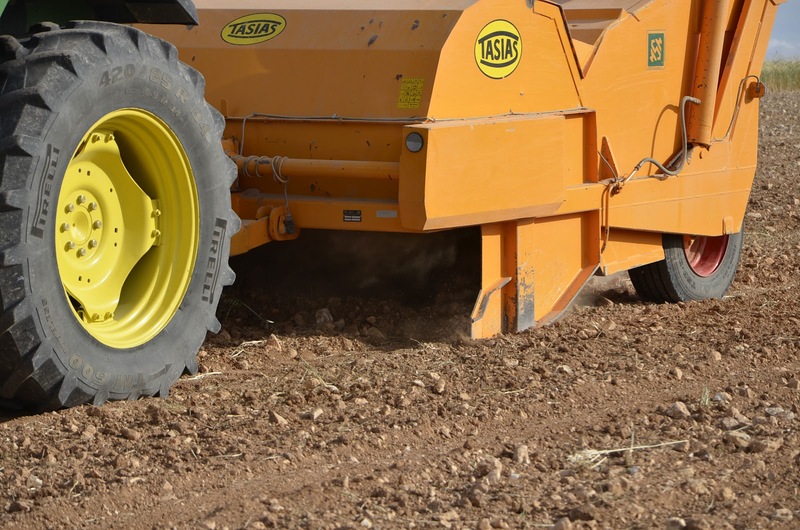 It was the first time we saw a rock picker machinery working (a Tasias Rock Picker M3) and we have to say that it really performs a good work. 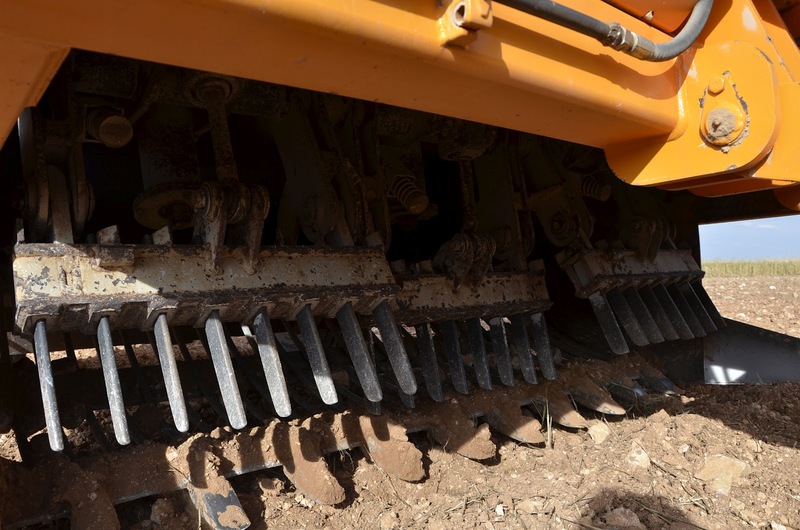 This machinery can be setted with several iron grills to pick up different size of stones. 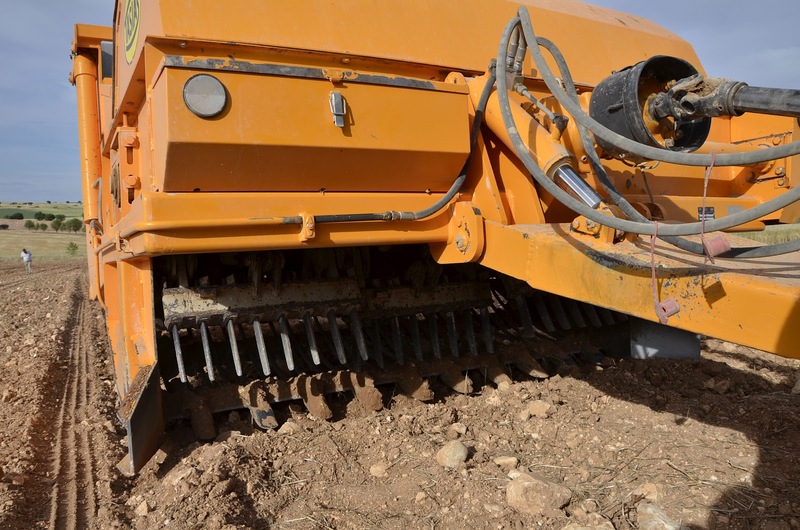 The iron fingers, which push stones into the tank, can sometimes be broken if they are hit with a big stone, so the farmer should have spares of them to repair the machinery quickly. 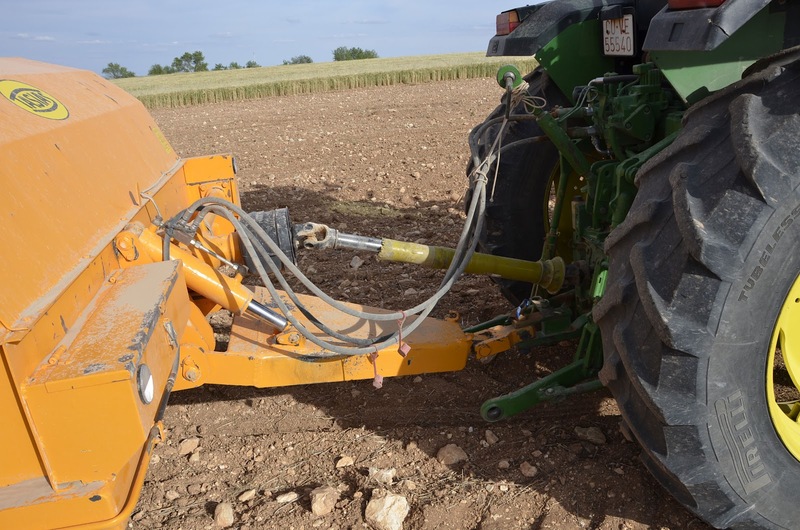 I think it is the only common trouble this machinery can have. 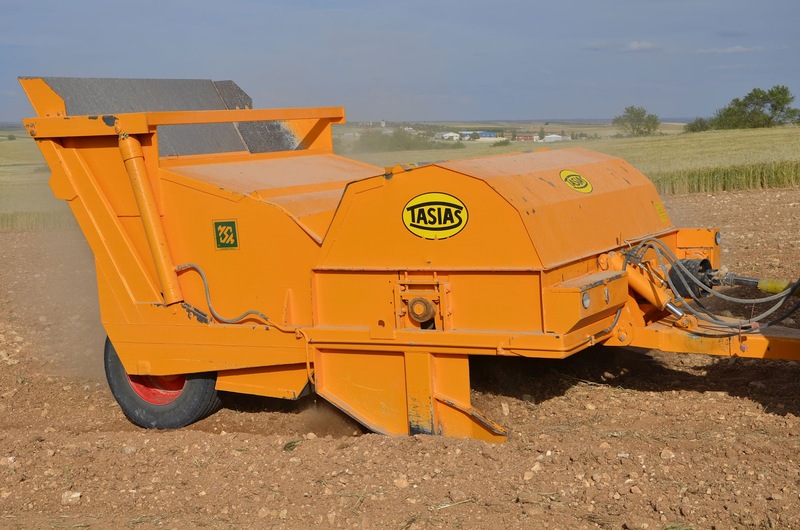 The working speed is very low, but it depents of amount of stones there are in our field. 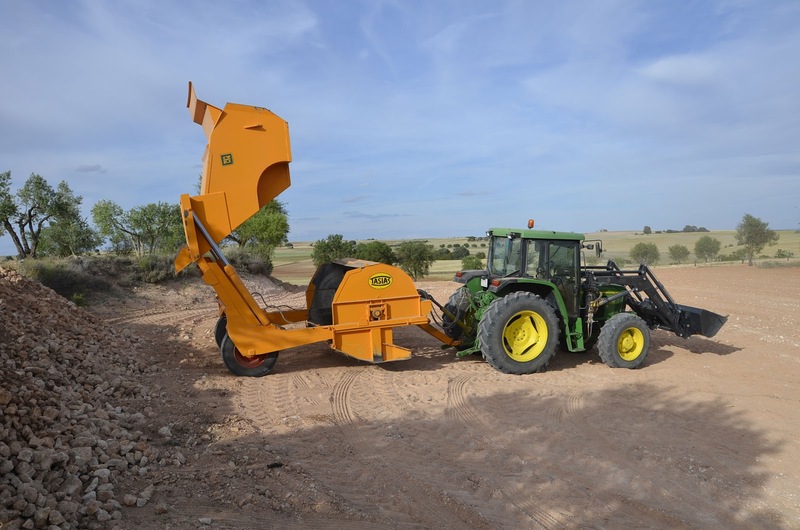 The John Deere 6100 has to carry out an important effort because stones are too much heavy and the P.T.O. 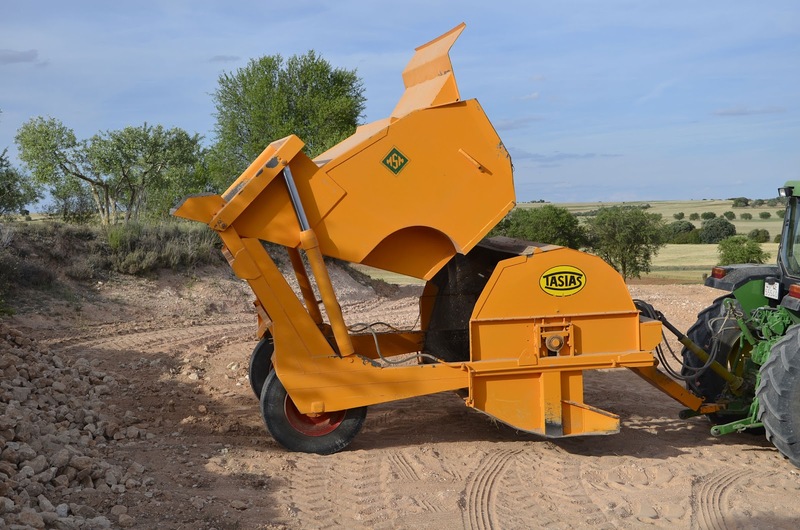 needs a lot of power. 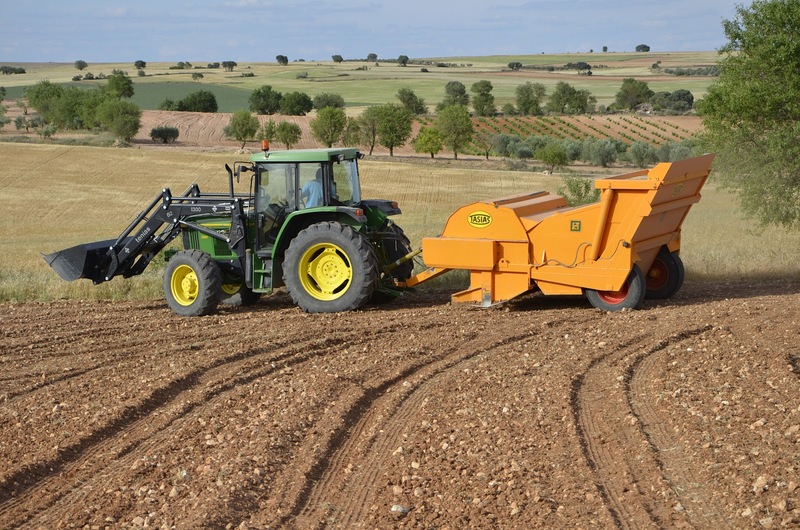 la demanda de potencia no es poca, pero ahora imaginad la demanda si en vez de sólo "recogedora" fuese "trituradora"